© greg harlow. All rights reserved. 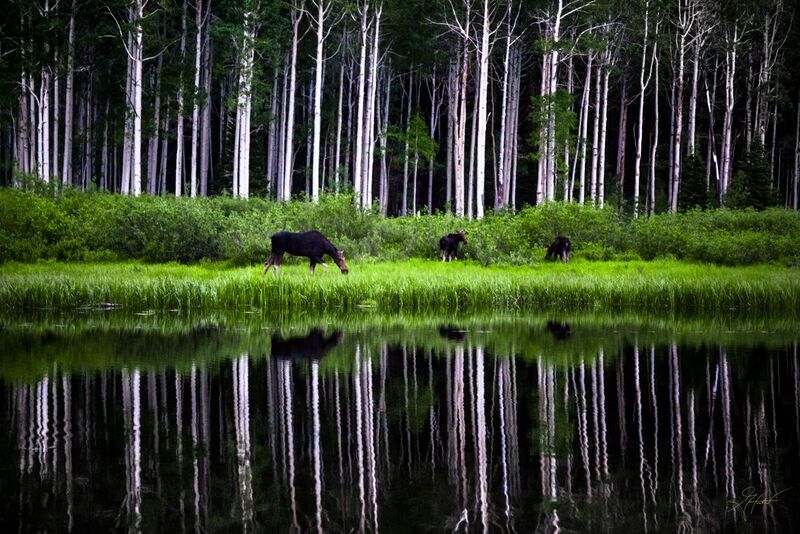 This female moose and her two calves emerged from the aspens to feed at sunset at Willow Lake, UT. This lake is a 45 minute drive from downtown Salt Lake City, and extremely photogenic. Date Uploaded: July 19, 2017, 3:11 p.m.